What about Rihanna’s wardrobe choice? She is always red hot on the red carpet, and tonight was no exception. 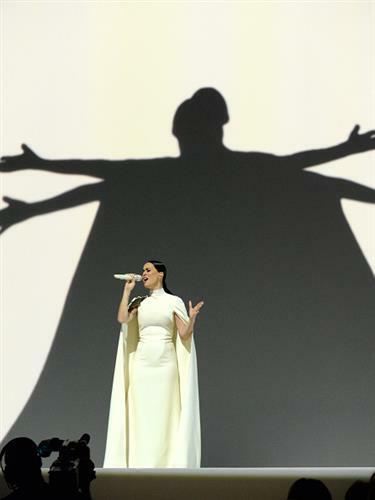 Although: Was she a little understated tonight? Who’s on your fashion dos and don’ts list? We’ve seen some memorable getups. 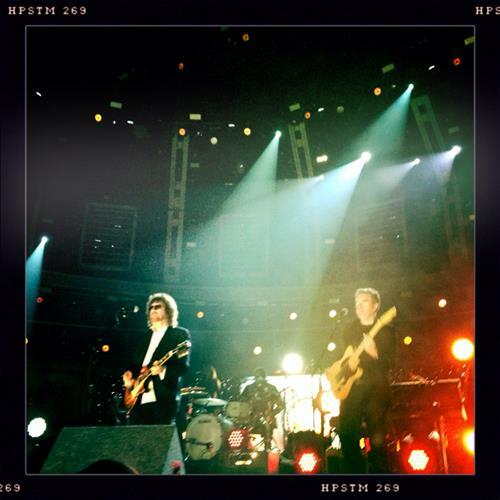 Paul McCartney: still amazing on bass, drums, guitar, piano, you name it. Could he have handled that harp, during the Usher performance? I would not be surprised. Just about one more hour left for the GRAMMY telecast. Visit GRAMMY.com for a complete list of winners announced so far today. We'll be updating this list as the night progresses. Here is what I’m wondering as we sail into the commercial: What are your thoughts about superstars like the three we just saw getting together? Does it work? Is it such a spectacle, so important to the integration of musical styles, that the results don’t matter much? More moments from the GRAMMYs so far! What did you think of the onstage chemistry? Was everybody’s ego in check? 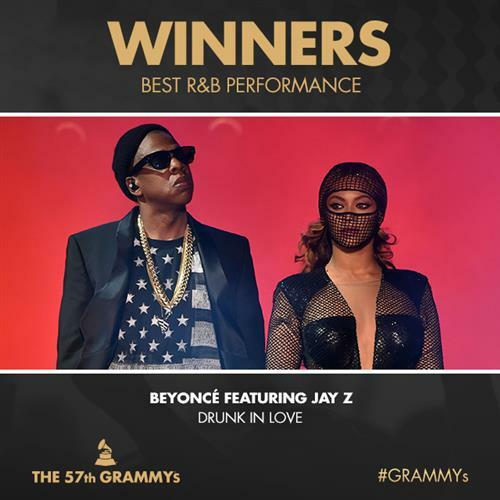 And the GRAMMY for Best R&B Performance goes to Beyoncé and Jay Z for "Drunk In Love." Congratulations! Was Paul McCartney just embarrassed by the camera attention? Hilarious! Jeff Lynne's ELO playing Evil Woman!! I do, and I’m here to bring you up to speed: ELO is the acronym for Electric Light Orchestra, the band Lynne helmed from 1970 to 1986. Its hits included the chestnuts “Strange Magic” and “Evil Woman,” which is what we’re being treated to right now by the new incarnation, called Jeff Lynne’s ELO. 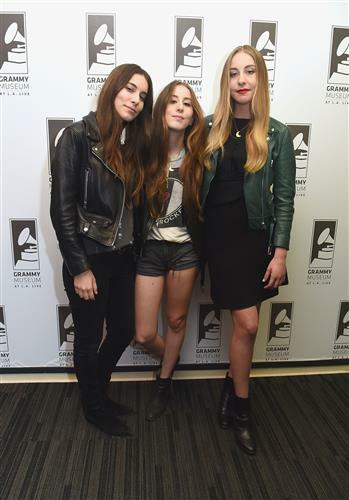 Trivia answer: Haim are the first sister act to earn a nod for Best New Artist. We are really on a roll of stunning performances, music fans. From Ed Sheeran we go straight into Jeff Lynne’s ELO. Who remembers the band from its heyday? If that song didn’t get your heart fluttering, what will? 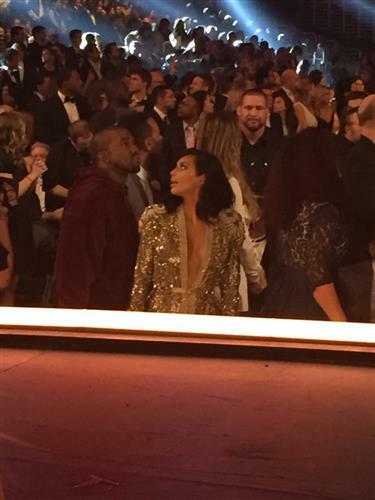 Romance is alive and well at the 57th GRAMMYs. 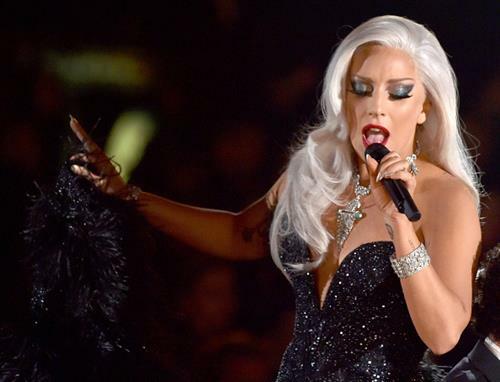 It looks like this GRAMMY Moment hits a high note with GRAMMY viewers. He’s been nominated for three GRAMMY”S tonight: Best Pop Vocal Album, Best Song Written for Visual Media and a little-known category known as ALBUM OF THE YEAR. Go Ed! And keep going John Mayer on that hot pink Jackson guitar! Sheeran is 23. And he’s got a birthday coming up: Feb. 17. 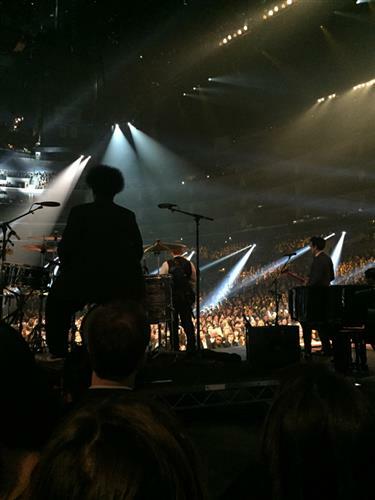 Ed Sheeran and John Mayer performing Ed's "Thinking Out Loud." ”Thinking Out Loud” could also be called “Evergreen.” It’s part of the lyrics, and it’s so fitting — the sentiments he’s expressing here are timeless. He’s a gifted, beautiful songwriter. Who’s this teaming up with Ed? 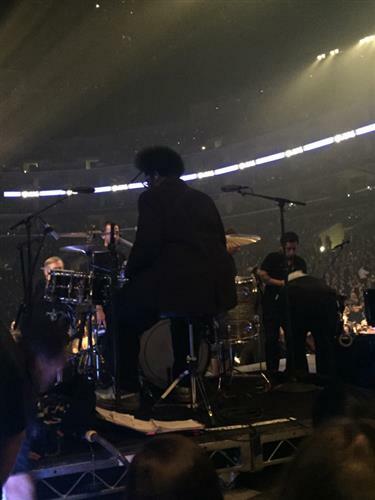 Amazing: John Mayer, Questlove! And — hold up — Herbie Hancock! This is GRAMMY magic. The BeyHive reacts to Beyoncé's 20th GRAMMY win. And now for more pre-Valentine’s Day romantic tremors: It’s Ed Sheeran with the beautiful “Thinking Out Loud.” Everyone should think out loud with this much grace. Ed Sheeran is a man without filters. A man who needs no filters. 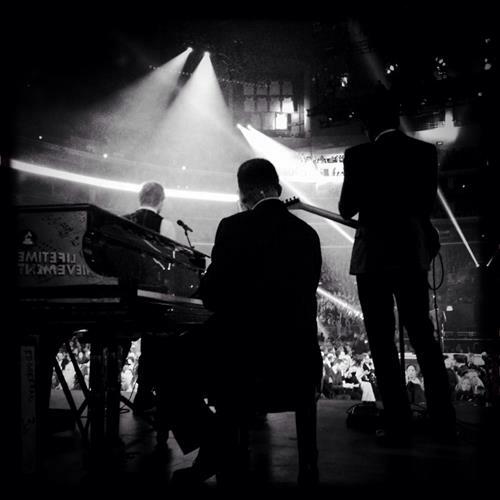 "Thinking Out Loud" is what we like to call a "swoon song." Ed Sheeran co-wrote this track with songwriter Amy Wadge and it's featured on his Album Of The Year-nominated collection X, which has the shortest title of any Album Of The Year finalist in GRAMMY history. Beyonce woud sparkle in anything, but in this black dress she is glimmering. Short, sweet acceptance. OK GRAMMY fans — we're into the second hour of our show. Who's ready to play the GRAMMY Trivia game? During every segment of the show this hour, we'll ask a trivia question that you'll have the opportunity to answer. Then, we'll reveal the answer during commercial break. So stay here, there's much more fun in store. Excellent: a win for Beyonce. Tough to argue with that choice. ... Great to see the smile on Sir Paul McCartney's face. Ed Sheeran and Questlove? Yes, please! 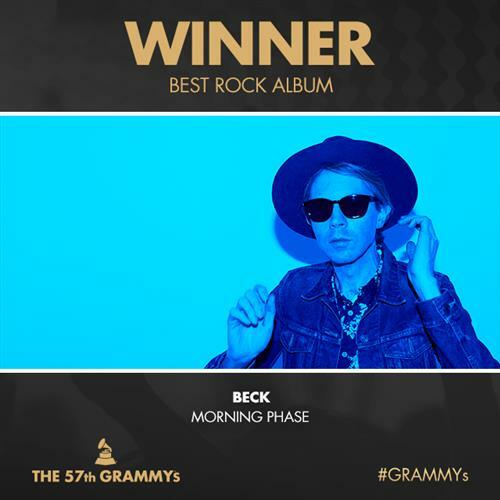 And the GRAMMY for Best Rock Album goes to Beck for Morning Phase. Congratulations! George Harrison: Another look back at rock’s rich history. Also its undeniable spiritual side. And another beautiful addition to the Lifetime Achievement record books.